On the second day after Aubrey L. Layne Jr. was sworn into office in January as Virginia’s new transportation secretary, he called a meeting of top advisers. Layne needed to know how he could halt payments on a massive highway project — a project he had helped raise millions for. Before being named secretary of transportation by Democratic Gov. Terry McAuliffe, Layne was chairman of the Route 460 Funding Corp. of Virginia. The nonstock, nonprofit corporation created by the state sold about $243 million in tax-exempt bonds to help finance the U.S. Route 460 Corridor Improvement Project, a 55-mile, $1.4 billion toll road that would stretch from Suffolk to Petersburg. While heading the corporation, Layne had a fiduciary responsibility to protect the interests of bondholders. Now, as chief of one of Virginia’s largest and most powerful agencies, he was charged with watching out for the taxpayers. His first order of business: stop an average of $16.7 million going out the door in monthly payments to the 460 contractor. Layne says he couldn’t understand why the state kept paying US Mobility 460 Partners LLC after it became apparent that the route it had been hired to build was in trouble. The contractor filed a preliminary application for a required environmental permit in September 2013. It estimated that the new road would impact as many as 486 acres of wetlands — a figure more than three times higher than an earlier estimate of 130 acres. Concerned over the higher impact, the U.S. Army Corps of Engineers determined that a supplemental review to an earlier environmental impact statement was necessary to satisfy requirements under the National Environmental Policy Act. 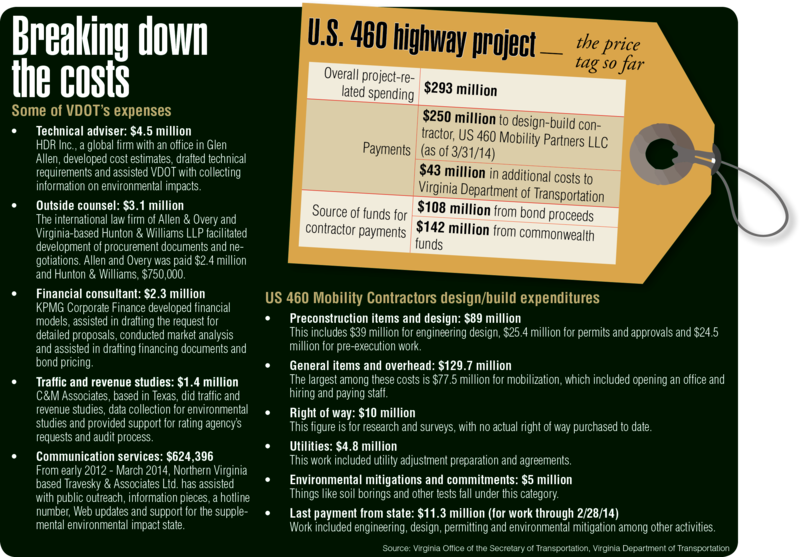 Adding to the secretary’s concerns was the 773-page contract between the state and U.S. 460 Mobility Partners. While Layne was familiar with the portion of the contract governing the funding corporation, it wasn’t until McAuliffe chose him as secretary late last year that Layne, a former president of a real estate management and development company, looked over the arduous document. Should the Route 460 Project proceed? While the contractor was responsible for obtaining the permit, the financial risk for the project remained with the state if a permit was not obtained. 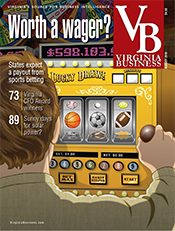 Virginia already had blown through nearly $300 million dollars and didn’t have an inch of payment to show for it. So Layne asked the governor for permission to stop payments to the contractor except for work associated with the supplemental review. McAuliffe agreed. Then on March 14 the state issued a stop work order after field tests indicated it would be difficult to mitigate such a large wetlands area. The action stalled 460 — a top transportation priority of former Gov. Bob McDonnell. Some say the public/private project hit the wall because of a tangled interchange of political ambition, state bureaucracy, federal regulations and environmental risk. 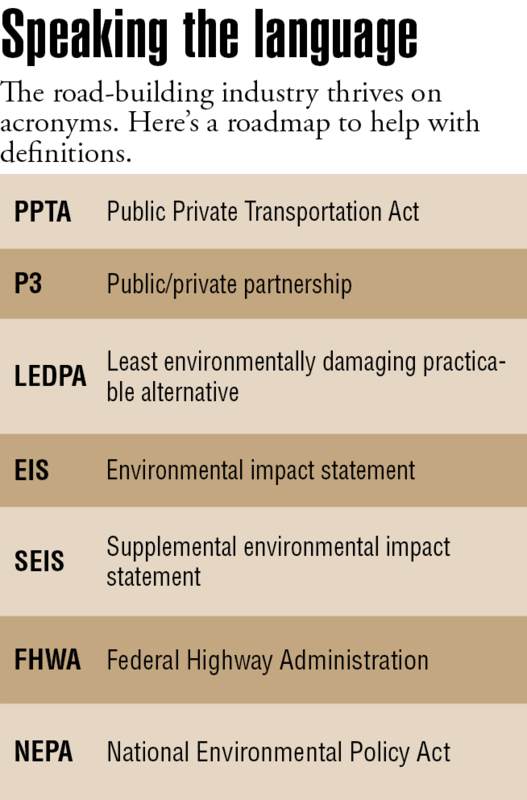 In some ways, 460 represents what can go wrong on a P3, an acronym for public-private partnerships, (See Definitions for road-building acronyms) which have become increasingly popular as cash-strapped states scramble to find ways to build major infrastructure. Yet in other ways — with upfront money required to get a large road project to the permitting stage — it was business as usual. Lots of people in Virginia are asking questions about 460. It’s an embarrassing imbroglio for a state hailed as a national model for its 1995 Public/Private Partnership Transportation Act, the law that opened the door to private sector money being used for public projects. One of the highway’s most vocal proponents, Sean Connaughton — the transportation secretary under McDonnell who spearheaded the project — refrained from commenting on the current state of affairs. 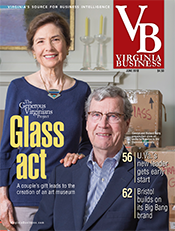 Connaughton has since moved on to a job that has nothing to do with transportation, heading up the Virginia Hospital and Healthcare Association. However, Layne has plenty to say. A resident of Virginia Beach, he supports the concept behind 460 and voted to fund it while serving as a Hampton Roads representative on the Commonwealth Transportation Board (CTB). The four-lane, divided toll road would give congested Hampton Roads a straight shot to Interstates 95 and 85 near Richmond. At 70-miles-per-hour, Layne says the limited-access road would help relieve truck traffic at the Port of Virginia by providing another route besides Interstate 64. 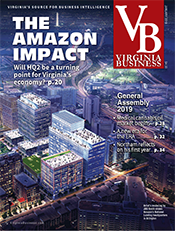 Plus, the road was expected to help spark new economic development in Southeast Virginia and give Hampton Roads’ 1.7 million residents another escape route in the event of a hurricane. The new 460 would parallel, but not replace, an existing, toll-free 460 corridor — an undivided, four-lane highway that some Northern Virginia legislators say gets less traffic than some of their subdivisions. 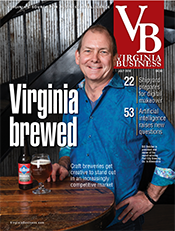 According to 2012 figures from VDOT, annual average daily traffic counts on Route 460 between Suffolk and Petersburg ranged from 9,000 in and around County Drive in Petersburg to 66,000 in Suffolk where the highway connects to U.S. Routes 58 and 13. The Norfolk District of the Army Corps of Engineers raised concerns as early as 2005 about the proposed route. It indicated that fewer U.S. waters would be affected by an alternative along the existing 460 that called for the addition of a center turn lane. (See timeline). By November 2012, VDOT proposed a new eight-lane design for that alternative, which the agency felt would better meet the new road’s scope and purpose. The design, says William T. (Tom) Walker, chief of the Corps regulatory branch in Norfolk, had not been included in the project’s original 2008 environmental impact statement. Bumping up the old 460 to eight lanes would give the alternative route and the proposed new route a comparable impact on the wetlands. Meanwhile, the clock is ticking. The contractor planned to begin construction on the road this year. It faces an October 2017 deadline for finishing the road. Even if the state opts not to build 460, it’s still on the hook. “We could be on the hook for another $100 [million] to $200 million between the contractual obligations and any possible actions by bondholders,” says Layne. He’s referring to the $108 million paid to the contractor from bond proceeds raised by the funding corporation. (See graphic: Breaking down the costs) Building delays could postpone toll collections, which are supposed to pay off the bonds. If W. Sheppard “Shep” Miller III had it to do over, he would have withheld his vote on state funding for the 460 project. 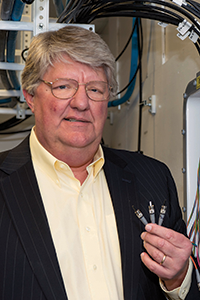 A Hampton Roads businessman with stakes in three fiber-optic companies, he knows better than to put up money for a project without seeing the terms of the deal. Yet Sheppard joined other members of the state’s Commonwealth Transportation Board in late 2012 in transferring $904 million in state money for the $1.4 billion project. 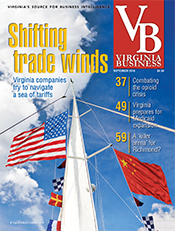 Besides the $904 million, the rest of the road’s funding was supposed to come from the sale of bonds and a $250 million contribution from the Port of Virginia that would be paid in $4 million increments over a period of time. That commitment (made following a major shakeup on the port’s board by McDonnell) rankles Jones, particularly since the port has been losing money on operations during the past five years. “In my opinion, it was an inappropriate use of port funds from the beginning,” says Jones. To date, no funds have been transferred. 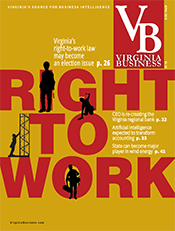 Under Virginia law, the Commonwealth Transportation Board does not play a direct role in the development, negotiation or implementation of public/private projects, even though the board authorizes funding for the state’s road projects. Nor do board members see the contractual documents, because of the proprietary nature of information submitted by private companies. Basically, the governor, VDOT and the state’s P3 office control the process with limited oversight. Finding an appropriate balance of power is becoming a central issue as more states look to public/private partnerships to get big projects done. P3s tap into private sector funds and create jobs. When McDonnell announced the U.S. 460 project, he said it would create 4,000 jobs during construction. The project already has involved 131 subcontractors, ranging from such well known companies as Verizon and Hewlett Packard to smaller players like SkyShots Photography and Stealth Shredding, as well as an array of engineering and design companies. State environmental groups have had 460 on their radar for years. 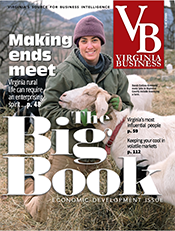 After the state signed an agreement with the contractor in December 2012, the Virginia chapter of the Sierra Club called it a billion-dollar “boondoggle’’ that would destroy wetlands and siphon state funds that could be used for more worthy projects. Another group, the League of Conservation Voters, gave $1.7 million to McAuliffe’s gubernatorial campaign last year — one of his biggest donations, according to the Virginia Public Access Project, which tracks political contributions. In December, the League joined eight other environmental groups in sending the governor-elect a letter. It urged him to ask the McDonnell administration to halt work on 460 so that the new McAuliffe administration (taking office in January) could reconsider the project. Francis says McAuliffe’s decision to suspend work on 460 was warranted and should not be linked to any donation. “The details on 460 that have come out are important, substantive details that any governor would want to dig into,” she says. If the structure of the 460 deal was so risky, one has to wonder whether the lawyers weighed in. According to public documents, the commonwealth paid $3.1 million to two firms, Allen & Overy and Hunton and Williams, to assist in the development of procurement documents and negotiations. Plus, it used the attorney general’s office. Did counsel raise any warnings? Not according to sources in McDonnell’s administration, who said they couldn’t recall the lawyers raising any red flags. Hunton & Williams said it couldn’t comment on the project due to client confidentiality, and Allen & Overy referred inquiries to the attorney general’s office. Layne, Jones and others note that 460, originally procured as a public/private partnership, morphed into a design-build project with a financing component — the bonds — but without the controls that typically come with this more conventional construction model. Instead of having a contractor bid on another company’s design (known as the design-bid-build model), the contractor working under the design-build structure designs and builds the project with the freedom to incorporate design efficiencies along the way. While the 460 deal retained the confidentiality of a P3, the agreement didn’t have the shared risk component that typically defines public-private projects. The contractor didn’t invest any money. 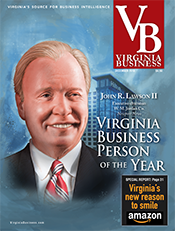 “Had the project been a design-build from the start, it would have been under much stricter procurement rules through the Virginia Department of Transportation” rather than controlled by the executive branch, says Layne. There would have been tighter controls, he explains, on how much money could be spent before having a required permit in hand. Nonetheless, the state still would have spent some money, and in this way the 460 project is typical of other large road projects. 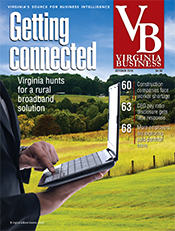 According to VDOT officials, a certain amount of work has to be done — on tasks like surveys, soil borings and design — before a contractor can reach the permit application stage for a major road. 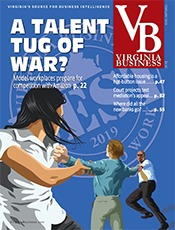 “Design work has to be close to completion before the Corps has the information it needs to issue a permit,” says Charlie Kilpatrick, VDOT’s commissioner. On other major P3 projects, he adds, such as the Midtown Tunnel in Portsmouth and the 95 Express Lanes, Corps permits were not secured prior to the state signing comprehensive agreements, because design work was not complete at that time. Even so, Layne insists that the design-build model, rather than a P3 on 460, would have offered more protections. “Had it been a design-build, the state would have been out about $100 million [in the effort to obtain a permit], not $250 million,” Layne says, referring to the money already paid to 460 Mobility Contractors. The contracting company is a joint-venture partnership involving Ferrovial Agroman S.A., an international construction firm based in Spain, and American Infrastructure, a civil construction company with regional offices throughout the mid-Atlantic, including one in Glen Allen. In 2006, three private consortiums submitted conceptual proposals under then-Gov. Timothy Kaine to develop and operate the proposed new toll road under a long-term concession that required private equity and risk. By 2009, however, the P3 solicitation was put on hold after the groups said the project couldn’t work without a major public subsidy. They didn’t think the road would draw enough traffic to generate adequate toll revenues. 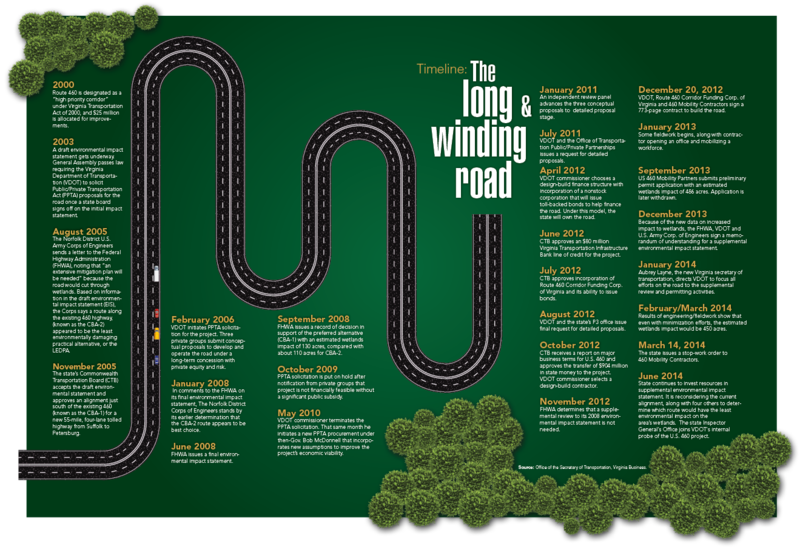 When McDonnell took office in 2010, VDOT terminated the old P3 procurement for 460 only to initiate a new one with revised assumptions about the project’s economic appeal. After the state recast the project as a design-build contract, 460 was not resubmitted to competitive bidding. Instead, the administration went with one of the three private consortiums that had submitted proposals under the P3 process. A $1.4 billion bid to build the road was far below the $2.4 billion originally estimated by the Federal Highway Administration. “We got a great price on 460,” says a source in McDonnell’s administration. According to the source, the administration didn’t want to put a P3 project, which had already been canceled twice, out to bid again for fear the construction industry wouldn’t take it seriously — a decision that has drawn criticism. “Who knows, we might have gotten it for less than $1.4 billion,” says Layne. 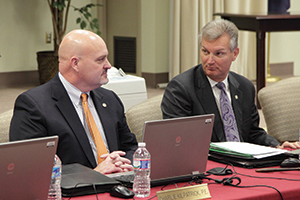 Now VDOT’s top officer, Kilpatrick served as chief deputy commissioner during McDonnell’s term. He was the official who gave one of the briefings on 460 to the Commonwealth Transportation Board. For a time, Kilpatrick also served as the interim director of the state’s P3 office, so he is well versed on the nuances of public/private projects. The state agency began to balk, though, after the original route became questionable last September because of its wetlands impact. The administration wanted to begin right-of-way proceedings and public hearings. The 460 project has been on the planning board for years. The Federal Highway Administration signed off on the project’s original route in September 2008 after an environmental review. In November 2012, the agency confirmed that its original environmental impact statement remained valid and did not need a supplemental review. That, however, was before more extensive groundwork and mapping revealed a bigger impact on wetlands. “I can say this, that we followed every bit of the P3 law and every step involved in our process,” says Tony Kinn, executive director of the state’s P3 office under McDonnell. Attempts to reach McDonnell through his attorneys to comment on 460 were not successful. The former governor and his wife are scheduled to go on trial in late July on federal corruption charges unrelated to the 460 project. 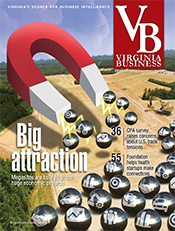 Whatever happens with 460, P3 projects are in for more scrutiny in Virginia. In June, the state Inspector General’s Office — created in 2011 to investigate waste and inefficiencies in government — joined VDOT in an internal probe. 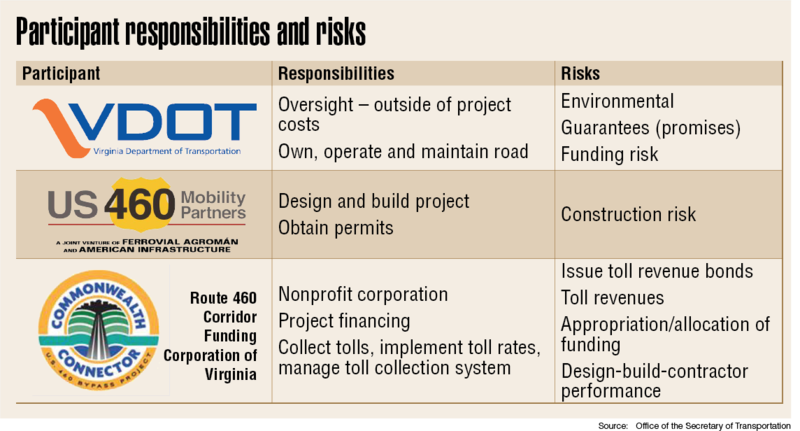 The agencies wanted to review whether VDOT and the state’s P3 office followed state processes and contract terms in the procurement and development of the 460 project. Another recommendation includes a comprehensive right to audit clause in future P3 contracts. This would build in another safeguard for state review of invoices and the evaluation of project costs. The Commonwealth Transportation Board also has ratcheted up its review of P3 projects, directing the head of the state’s P3 office, Doug Koelemay, to review policies and projects in the pipeline with an eye toward increased oversight and transparency. Layne says he is open to making all aspects of P3 projects public, with the exception of the bids, and to giving more notice to the General Assembly and the board, with the board getting a look at the contracts. Layne, however, doesn’t approve of a legislative sign off on deals as a hedge against keeping politics at bay. As the debate rages in Richmond, the people and businesses that line the existing 460 wonder about the final outcome. 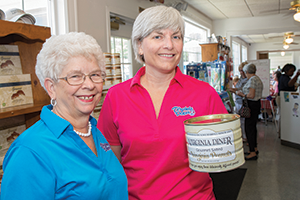 In September Chris Epperson and her staff will celebrate the 85th anniversary of the Virginia Diner in Wakefield, a town that bills itself “The Peanut Capital of the World.” The diner is an institution, with many motorists stopping to eat on their way to and from the Outer Banks. POLL: Should the Route 460 project proceed? Give us your feedback.